Editor’s note: The 2018 republished version of this article can be found here. Before you create content to boost brand awareness, it’s important to consider whether you’re creating the right type of content. Take infographics. These are most often used as a link-building tool. That’s fine, if gaining links is your goal. Infographics aren’t so effective, however, if what you really want is to increase awareness of your brand. That’s because publishers tend to favor infographics that keep branding to a bare minimum – usually a logo hidden right at the bottom of the content. These are all content types in which it’s OK, if not encouraged, to highlight your brand. Now that you know what sort of content you should be creating to boost brand awareness, let’s look at four ways of tracking its impact. The social reach of your content is an indicator of the impact it’s having on brand awareness – at least, if it’s the right type of content (as discussed above). Unfortunately, measuring the full social reach of your content isn’t as easy or accurate as it used to be. At the end of 2015, Twitter – a big source of social shares, especially within the digital industry – stopped supporting share count on tweet buttons. Thankfully, share stats are still available for four of the big social sites – Facebook, Pinterest, LinkedIn, and Google. How can you get this data? Shared Count is my favorite tool for checking how many times a piece of content has been shared socially (or at least shared on the four platforms mentioned above). The main disadvantage to Shared Count is that you can only check one URL at a time. To accurately track the social reach of your content and, in turn, the impact it’s having on brand awareness, you need to check each URL your content appears on. Get Social isn’t a tool I’ve tried personally, although I’d like to, because it appears to offer some exciting features. Namely this: Get Social promises to track “all social interactions, not just the 20% happening on share buttons.” This is key to getting a complete picture of how widely your content is being shared and what’s working to boost brand awareness and what isn’t. Unlike Shared Count, it’s not free, but on the plus side, it does more of the hard work for you. Packages start at $32 a month for use on a single website. This will track up to 100,000 visits per month, which should be more than enough for small brands. Another great way to measure how awareness of your brand is changing is to track how often it is mentioned online. If you have a unique brand name, this is much easier. If mentions of your brand get mixed up among mentions of a similarly named entity, filtering out chatter could prove to be time-consuming. However, let’s assume you have a unique name (or at least you don’t share your name with a big brand). Many tools will track where your brand name is being used online. Mention is one of the simplest brand-tracking tools as brand tracking is its primary purpose. 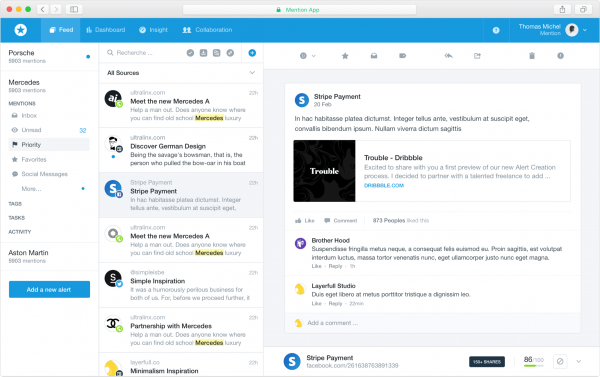 It crawls websites, forums, blogs, social media platforms, and more to find mentions of your brand and let you know about them –in real time via push notifications or through email alerts. Pricing starts at $29 a month for a solo plan. This should be adequate for small brands. 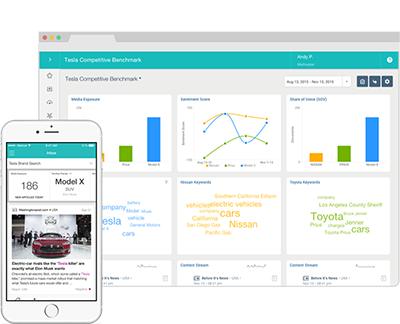 For $99 a month, you can track your competitors as well. 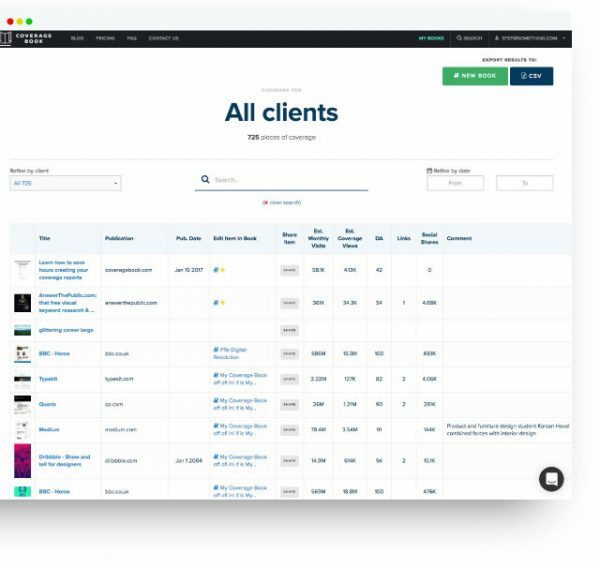 Custom plans are available for bigger brands and agencies. Google’s own tracking tool has had its ups and downs (to the point of becoming essentially useless at one time). While it’s hardly the best tool on the market, it is free and easy to use. If you don’t have the budget for a pro tracking tool, it’s well worth the couple of minutes to set up a Google Alert. Simply type what you want to track into the box and click “create alert.” It is that simple. Bear in mind that the same search syntax you use in a Google search will work with Google Alerts. If you want to ensure that you’re only sent alerts for your multi-word brand name, you need to create an alert using exact match quotes. For example, if I were to create a Google Alert for my own name I would use “Sujan Patel,” not Sujan Patel. Some marketers measure the impact of their digital campaigns almost solely by the number of links the campaigns generate. They are doing themselves, and their hard work, a disservice. If publishers are talking about your brand online as a result of the content you’re creating – with or without a link – your content is impacting brand awareness. 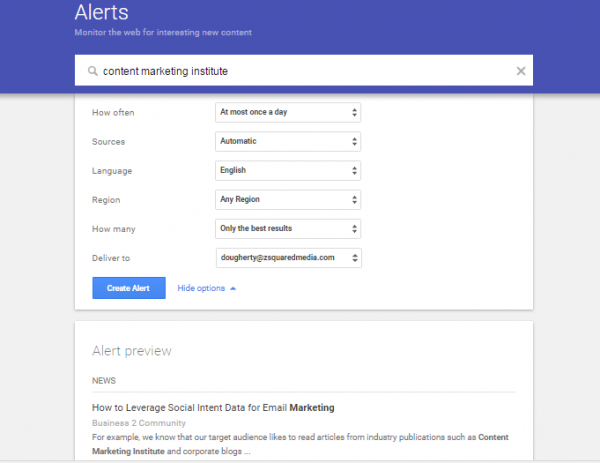 You can track media mentions using the tools mentioned above, but you need to distinguish between media mentions and consumer mentions. Alternatively, there are tools that provide more detailed insights into online mentions and media coverage. Unfortunately, these tools tend to come at quite a cost. and Meltwater (bespoke pricing only). The number of people searching for your brand online tells you a lot about how general awareness of your brand is changing. Sadly, tracking this used to be much easier than it is today. Before Google started hiding keyword data under “not provided,” monitoring branded searches was simple. 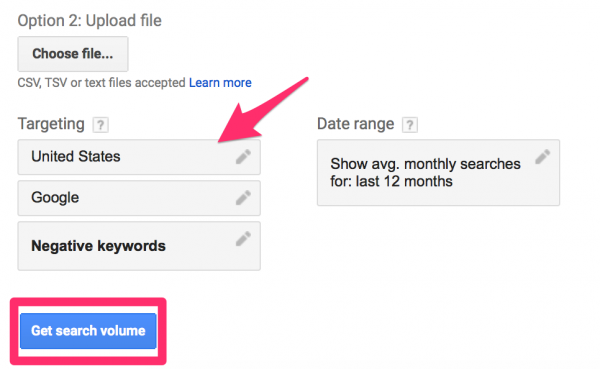 You just had to look at your keyword data in the Google Analytics’ traffic report. While some of this data is still available, it’s in such small quantities that it’s far from a reliable data source. Thankfully there are still ways of measuring how searches for your brand are changing. Running a brand campaign on Google AdWords can reveal a lot about how many people are searching for your name online. Some companies don’t like running branded campaigns because they’re paying for unnecessary clicks because their brand names should appear at the top of organic search results when someone searches for their company. However, if the goal of a brand campaign is to quantify those searches, AdWords can work well. On the plus side, branded search terms aren’t going to be competitive so they won’t be expensive. Once your campaign is running, the impressions data will show you how many people are searching for a variation of your brand name. You’ll then be able to track how this changes over time. If you’ve only used Google’s Keyword Planner to find phrases to use in paid campaigns or on-page optimization, you’re missing a trick. Keyword Planner can also give you a good idea of how many people are searching for your brand name and how this changes over time. Accessing this data is simple. 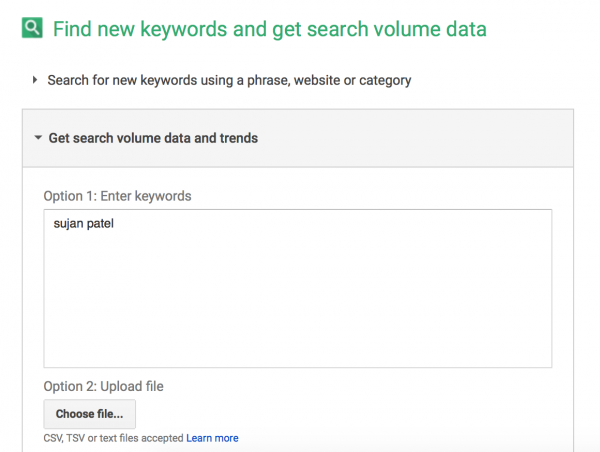 From the front page of Keyword Planner, select “Get search volume data and trends” and enter your brand name in the box. If this data is important to you, I suggest running a low-cost AdWords campaign purely to get access to more accurate data. 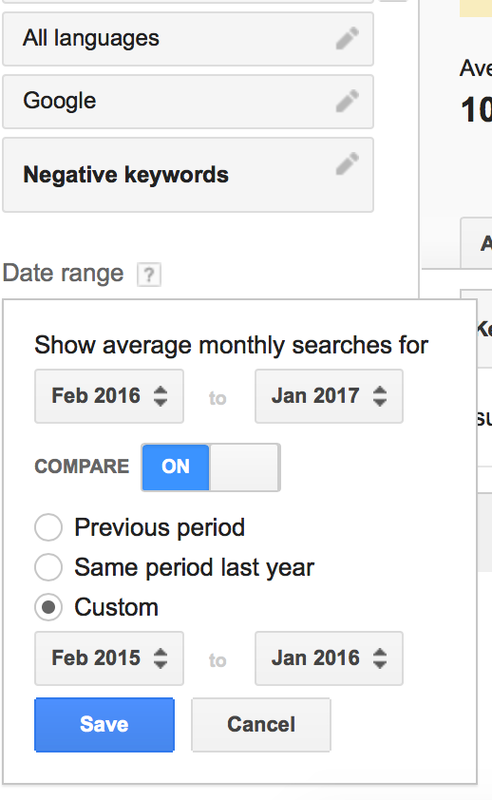 Keyword Planner also allows you to view how this data has changed over time. To view that, select the “Date Range” box on the left side of the page, turn the “Compare” button on, and select the dates you want to compare. If you want to see at a glance how searches for your brand are changing over time, head over to Google Trends. Enter your brand name in the search term box and change the filters as needed. By far, the most useful filter is “All categories” – if you share your company name with other brands. This should increase the accuracy of the results by allowing you to narrow the results to searches for your brand name within your industry. It’s worth noting that as useful as Google Trends is, it won’t reveal any data if your brand and the number of searches surrounding it are too small. 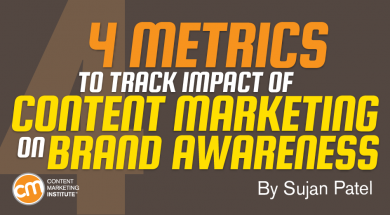 That’s four metrics that are well worth tracking if you want to understand how your content marketing is impacting general brand awareness. Are you tracking any metrics that I didn’t cover? It would be great if you could share what they are and how you track them in the comments. Measurement is critical to understanding how your content marketing is (or is not) contributing to your goals. Subscribe to CMI’s free daily newsletter or weekly digest for ongoing tips on measurement, tools to help, and more to make your content marketing even more relevant. Sujan is the leading expert in digital marketing. He is a hard working & high energy individual fueled by his passion to help people and solve problems. He is the co-founder of Web Profits, a growth marketing agency, and a partner in a handful of software companies including ContentMarketer.io, Narrow, Quuu, and Linktexting.com Between his consulting practice and his software companies, Sujan’s goal is to help entrepreneurs and marketers scale their businesses. Follow him on Twitter @SujanPatel.